﻿ How to choose and where you can buy a kimono for Aikido? Home » Questions about Aikido » How to choose a kimono for Aikido. The word kimono in Japanese is used to refer to clothes in general. It is more correct to call training clothes for Japanese martial arts as keiko-gi (from the words keiko – training and gi – clothes) or dogi. Clothes for different martial arts have a number of essential differences; to emphasize the kind of clothing in question instead of keiko the name of martial art is often indicated. 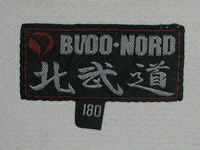 Thus, clothing for Aikido is called aikido-gi, for Judo – judo-gi, for Karate – karate-gi, etc. However, the word kimono is already well established in the meaning of clothing for trainings in martial arts. Kimono has many dimensions: length of jackets, sleeves width, the length of the slots on the jacket, long pants, waist girth, and others. 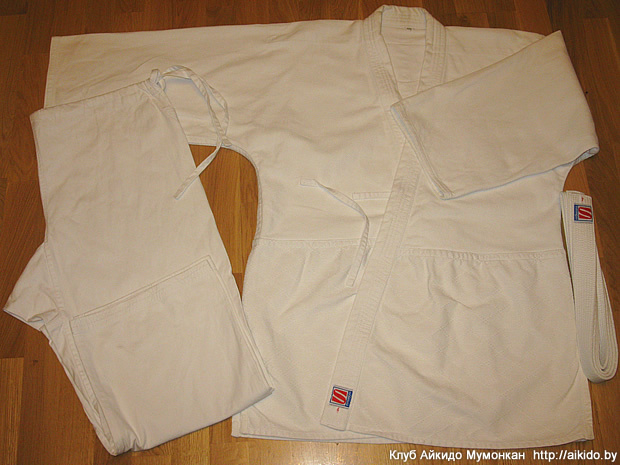 But you may need all these only if keiko-gi is needed for a competition, where clothes must meet strict requirements. 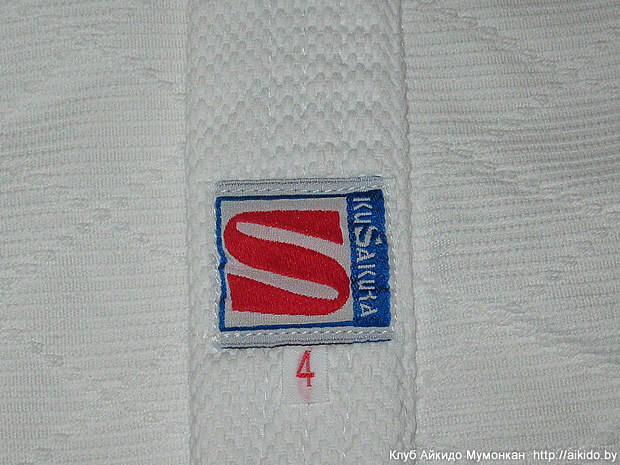 When choosing a kimono for everyday training in Aikido you should usually be guided by three parameters: the height of a man, the density and type of fabric. Kimono must be chosen according to height. If the height is specified on the kimono there is no problem. However, manufacturers often specify not the height, but the size on the product. This can cause difficulties especially when choosing komono in an Internet shop. We present here a table of correspondence between keiki-gi numbers and height and size of usual clothes. Usual clothes sizes are given only for comparison, so you should not rely solely on them. It is better to measure your height and round it up. Do not forget that kimono is made of cotton, so in the process of washing it will shrink. So, you must have a small margin from 5 to 10 centimeters. Also, please, note that each manufacturer produces kimono by its own curves. Therefore, kimono from different manufacturers of the same size will sit on you differently. Kimono should not hamper your movements and sit tight on you; it must not be "slinky". 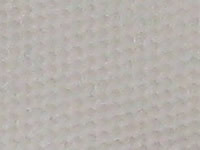 The lower edge of the jacket (uwagi) must be midthigh. At wrapping over each jacket flap must reach the opposite side seam. Sleeves must not cover the wrists. The density of kimono fabric is specified either in ounces (OZ) or in g/m2. All manufacturers of the products usually specify in the parameters the density of jackets and pants separately; as jackets and pants are made of cloth of different density (the fabric of pants is less dense). The denser the fabric, the greater its specific gravity. From the consumer point of view, all kimonos can be divided into two types. Kimono with a smooth texture – the fabric has a low density (from 200 to 400 g/m2), soft to the touch; the kimono is light, it is used for Karate, Taekwondo and other martial arts, in which there are no throws, captures and holds. 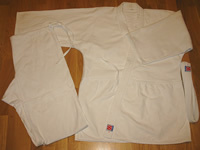 Sometimes karate-gi is used for Aikido trainings. However, you should be aware of the fact that such a kimono becomes unusable faster. In addition, at making captures your partner can grab your skin together with your kimono. It is hardly enjoyable. Woven kimono – the fabric has a higher density (from 400 to 750 g/m2), thicker to the touch; such kimono is heavier, it is used for trainings in Aikido, Judo, Aiki-Jutsu, Ju-Jutsu and other martial arts, where throws and grabs are applicable. There are also kimonos made of double and triple weave fabric with a density of 750–1000 g/m2; the fabric is very firm to the touch, keeps excellent shape. Such kimonos are more suitable for competitions, performances or exams. Thus, for Aikido beginners it is more practical to choose a single weave kimono. Traditionally kimono is made of 100% cotton. Cotton fabric is hygienic; it pleasantly fits to the body, absorbs sweat and is well-ventilated. However, cotton kimono has drawbacks: it is easy to crumple, shrinks in the wash, and eventually turns yellow. Now kimono is usually made of cotton, containing polyester fibre. It gives kimono a snow-white tidy look, saving positive properties of cotton. But as the fabric contains cotton the kimono will shrink at washing. 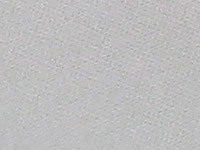 Some manufacturers perform preliminary antishrink cloth trim. In this case, the kimono has minimal shrinkage or does not shrink at all. Thus, when buying a kimono you need to ask the seller of what material kimono is made and whether antishrink cloth trim was performed. After that, decide what size you need. Only white kimonos are used for Aikido. On the shoulders, chest and back of the jacket there should be strengthening of the fabric, which is very well visible on the wrong side. The jacket collar should be thick, but soft. If the jacket flaps have laces, then at training the jacket will not throw open, and you'll look tidier. Usually, the pants (zubon) are worn out much faster than the jacket (uwagi). So pay more attention to the pants quality. The fabric of the pants must be thickened on the knees. The pants belts are of two types: with an elastic band and with drawstrings. A belt with an elastic band better fits in the waist, but the drawstrings are more reliable and durable. The kimono cost depends on the size, fabric density and manufacturer. A Japanese keiko-gi (Kusakura, Mizuno, Tozando) is an expensive garment, while the Chinese (Budo-Nord, Demix) and Pakistani ones (Green Hill, Wacoku, Matsa, Tengu) are much cheaper. 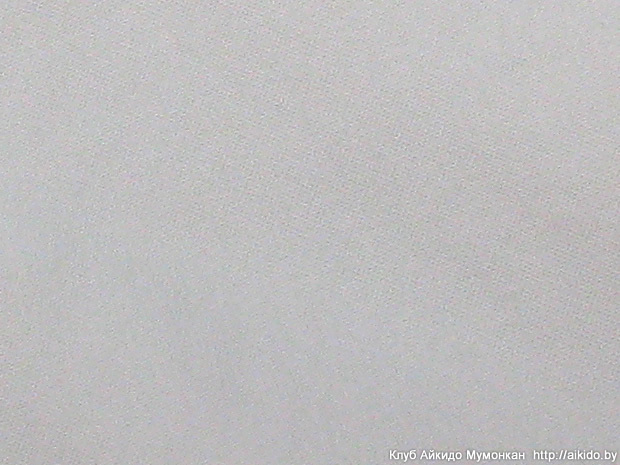 Where you can buy a kimono in Belarus? 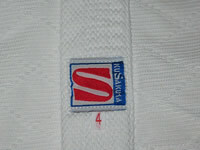 There are several sporting goods stores, where you can buy uniforms and equipment for martial arts. Here are some links. 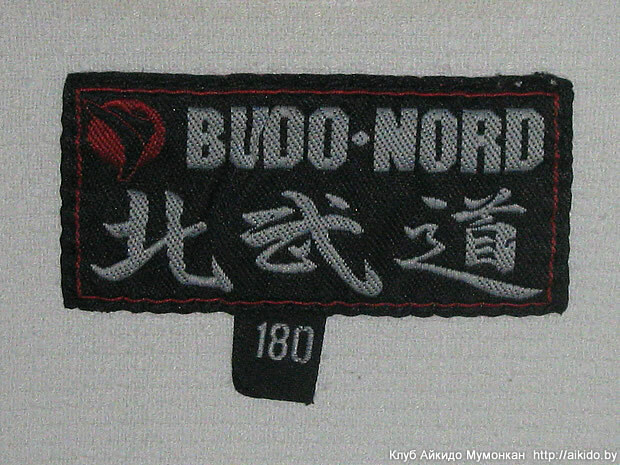 "Budo-Nord" – a shop of gear and equipment for martial arts. "Buvistrade" – an internet sporting goods store. "Bigsport" – a sporting goods store (Minsk). "Martial Arts" – an internet sporting goods store. "Vimpex Sport" – an internet sporting goods store. "Inter Partner" – chain stores of sporting goods. "Megasport" – a sporting goods store. "Overtime" – an internet sporting goods store. "Arena Sporta" – an internet sporting goods store. Want to join us? The first lesson is free! Choose dojo and welcome. How to tie a kimono belt? How to take care of your Aikido-gi?